Do you know there is a way to record your iPhone or iPad screen activities? Recording screen activities is not really widely used but, in some cases like making a tutorial or an app review, recording beats taking screenshots. But you don’t have to record your screen activities with a camera; just use Reflector. 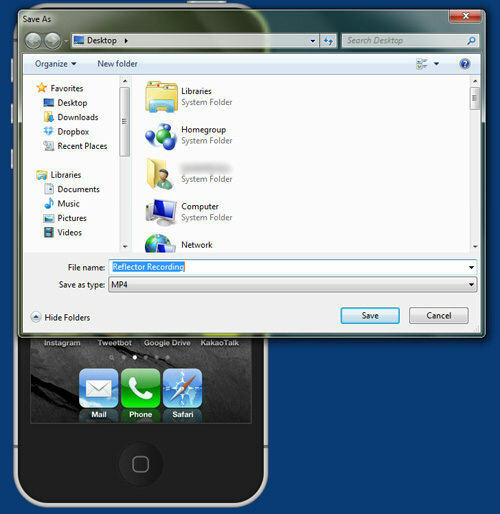 Reflector is a desktop application which allows you to mirror your iOS screen to your computer so that you can record and save the recording on your computer. It also records sound. Now isn’t that a handy app to have? First, download and install Reflector on your computer. Run it. Make sure that your computer and iPhone/iPad is on the same Internet connection or Wi-Fi. 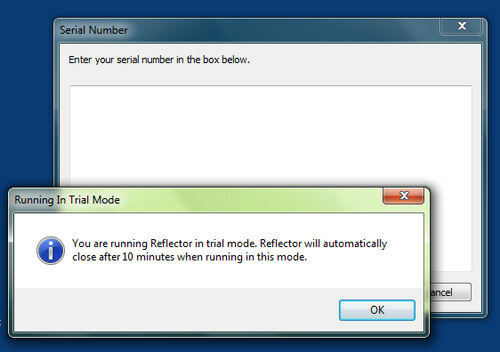 After running Reflector, click on Try Reflector and the program will run on trial mode. Trial mode allows you to use Reflector for free for 10 minutes. You can find the Reflector icon on the notification part of the taskbar. 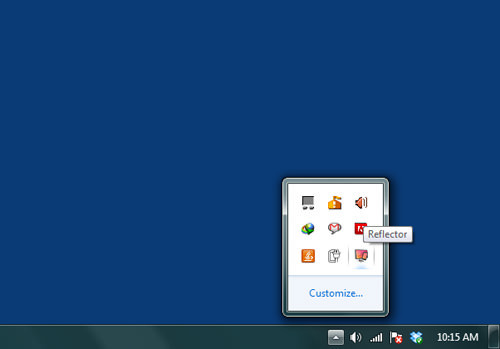 Right click on Reflector icon and open up its ‘Preferences’. You can set Reflector to optimize for the iOS devices you own. 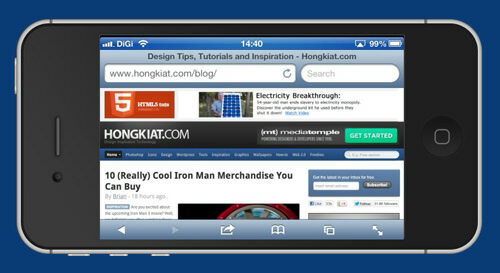 Now on your iPhone, press the Home button twice to bring up the recently used apps bar. 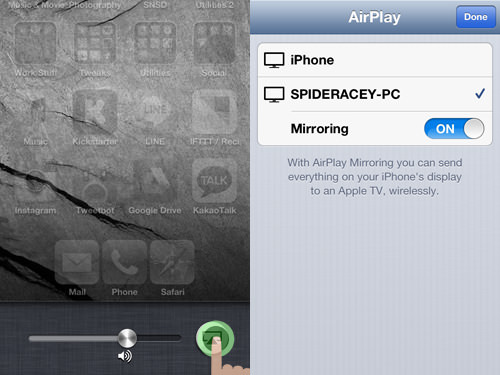 Then, swipe it to the right until you see the Airplay icon. Tap on the Airplay icon, and connect to your computer. Turn on Mirroring. Now, on your computer screen, you’ll see your iPhone mirror image. 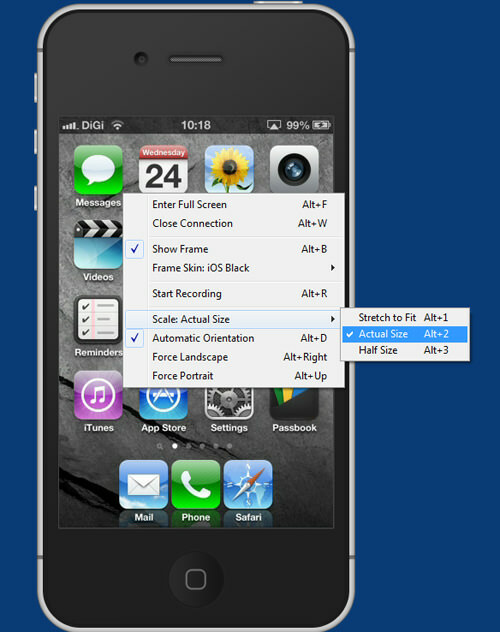 You can change the color of the iPhone frame on the desktop by Right click > Frame Skin. And, you can also change the mirrored iPhone/iPad scale size by Right click > Scale: Actual Size. Choose the size you want it to display. To start recording, you can do so by pressing Alt + R or right click and click ‘Start Recording’. When you start recording, there will be a timer on top of the iPhone on your desktop screen to show the duration of your recording. To stop recording, press Alt + R and a pop up will ask you where you want to save your recording. The recording will be in MP4 format. 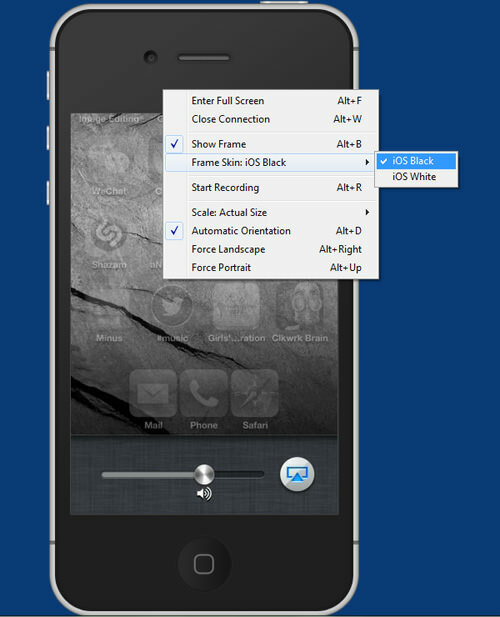 Double click on your recording file and you can view your recorded iPhone/iPad screen activities. 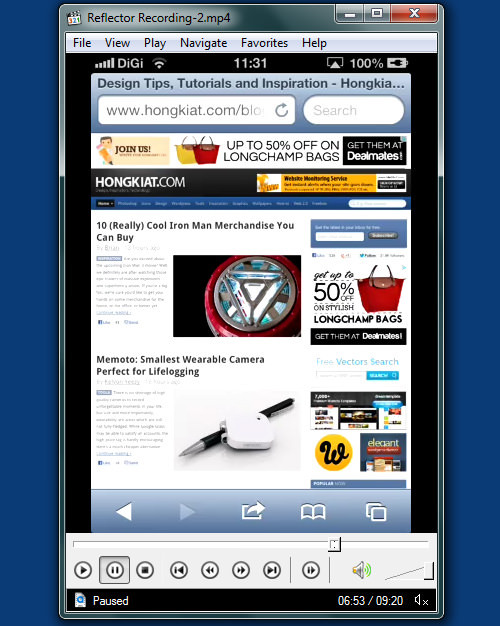 It also works in landscape mode. 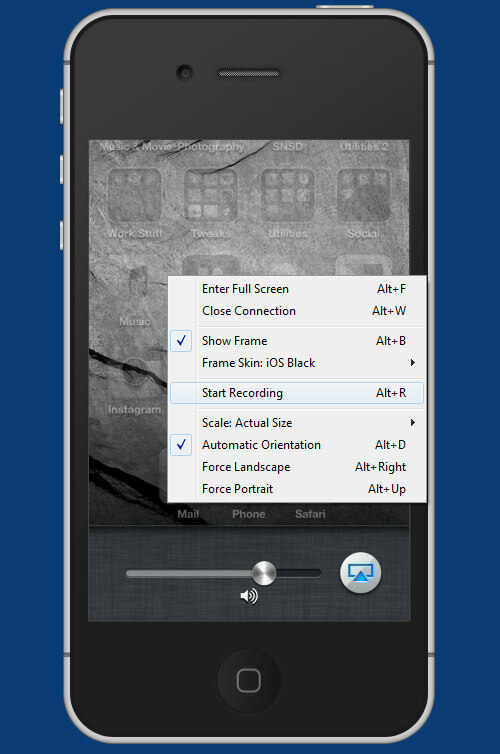 During recording, if you change from portrait to landscape mode, the change will be reflected in the recording. 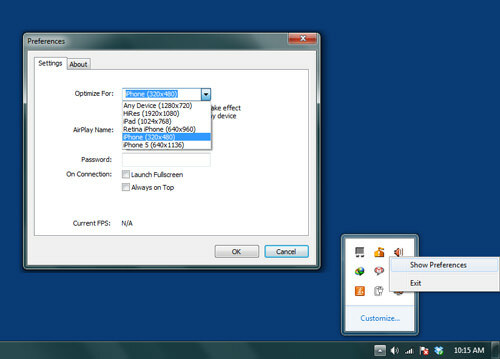 Although it is free for only 10 minutes, you have the option to use it for longer by purchasing Reflector for $12.99. Not that you can still reuse the program for as many 10-minute sessions as you want, it just an never go beyond that 10 minutes. The program automatically shuts down at the end of that 10 minutes.